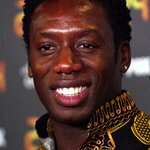 Nigerian born Hollywood actor Hakeem Kae Kazeem has been appointed Global Ambassador for Africa 2.0. Founded in 2010, Africa 2.0 is composed of 450+ young African leaders from more than 41 nationalities sharing a collective vision for Africa. Members are committed to the development of the continent through effective initiatives. Members of Advisory board include Chairman Olusegun Obasanjo, H.E. Joaquim Kissano – former President of Mozambique – and the Reverend Jesse Jackson amongst others. Africa 2.0 is a D-ink Tank (a Think Tank that Does Things) committed to thought leadership through concrete and exemplary actions. “I am truly honoured to be associated with Africa 2.0 – a pioneering platform for a new generation of African leaders to inspire and create a solid infrastructure – to shape a brighter future for our Continent,” said Hakeem. Hakeem Kae Kazim has featured in blockbusters such as Pirates of the Caribbean, Hotel Rwanda, and more. Find out more about Africa 2.0 here.